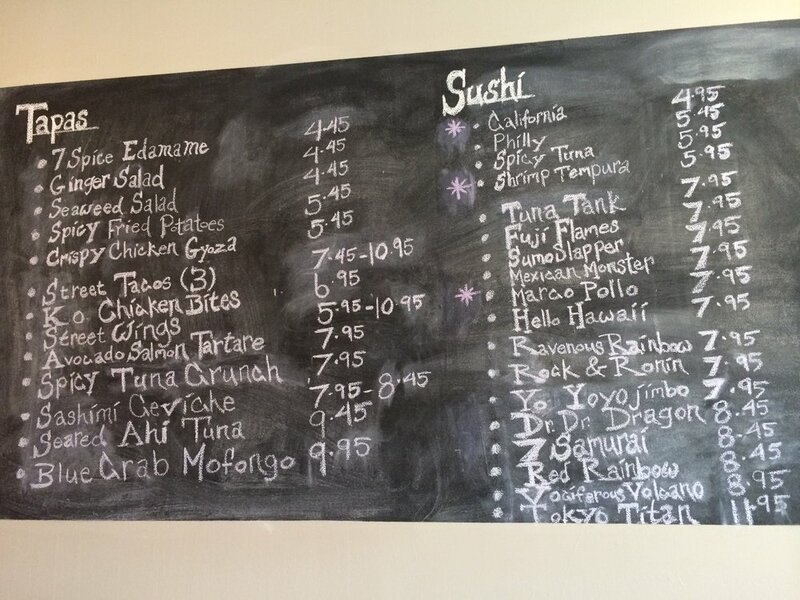 I was in O’town for a day and wanted to visit Tokyo Tapas. Last time here was back in March of 13 when they opened, and I remember really liking the concept, of made to order, fresh food. In their words, “Bottom line, high quality ingredients done right. (It kind of feels right)” Nestled in the Publix shopping center, and according to my friends that live her, it has become a favorite of the locals for lunch and dinner. 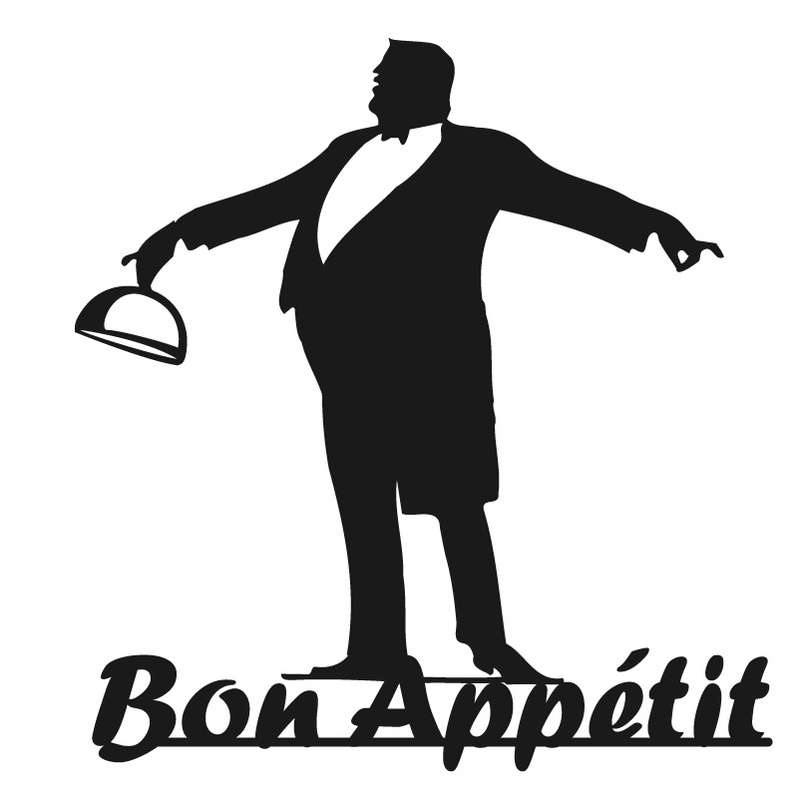 Closed Monday open Tuesday-Saturday, lunch, 11:00 to 2:30 and dinner 5-9 5-8 on Sunday. 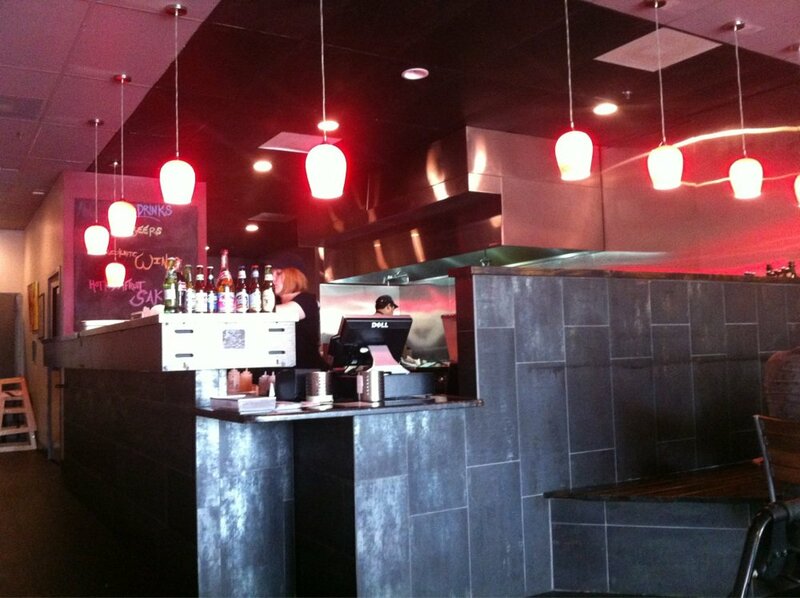 There are daily specials, sushi combos for lunch, hibachi combo specials. 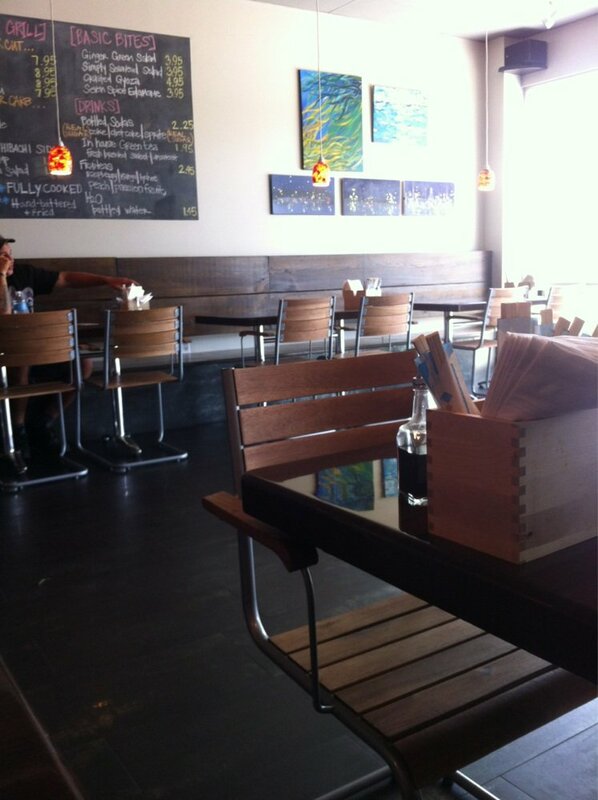 They also offer, gluten and vegetarian items. 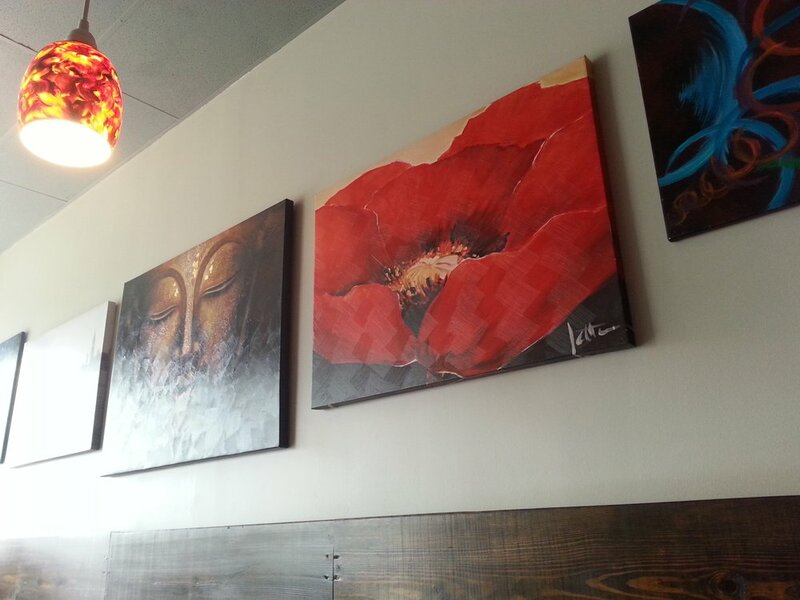 The interior is clean and upscale, interesting wall art. A daily hand written menu completes the picture, prices are certainly competitive for the area. A walk up to order counters begins the service, once the order is placed the customer is given a number then chooses a seat and food is served as soon as it is ready. Easy peasy right? 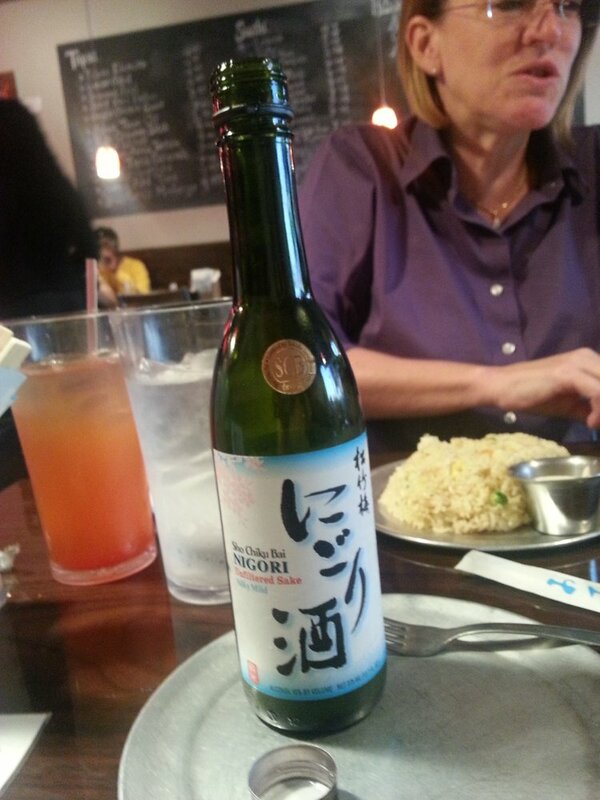 Let’s get to the food, we started with a few bottles of cold filtered Sake, one of our favorite beverages on a hot summer day. This is of medium quality, but the price is right. Add to that 7 Spice Edamame and the Seared Tuna with ginger. The edamame was tasty with just a hint of hot soy oil. 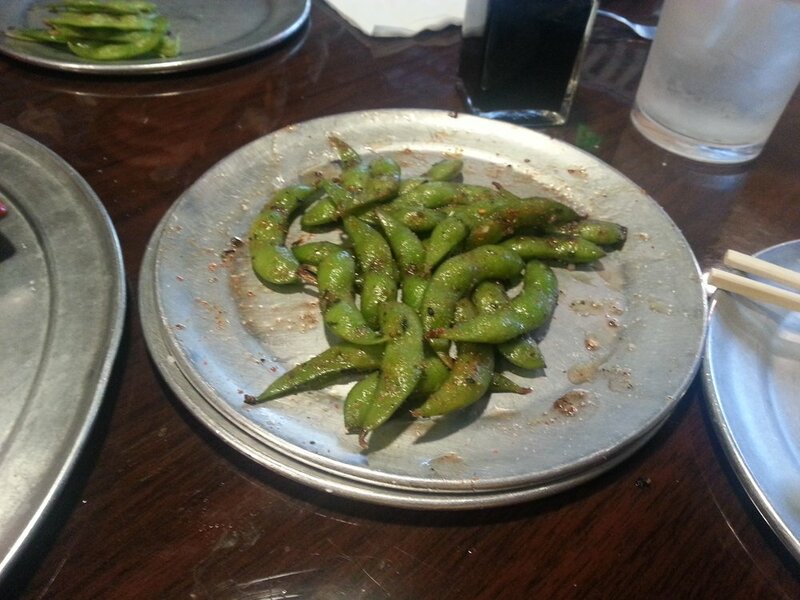 I felt the portion on the edamame small, but the price is low, and we like it enough, so we ordered another. The tuna was sweet, cold and just a delight to eat. 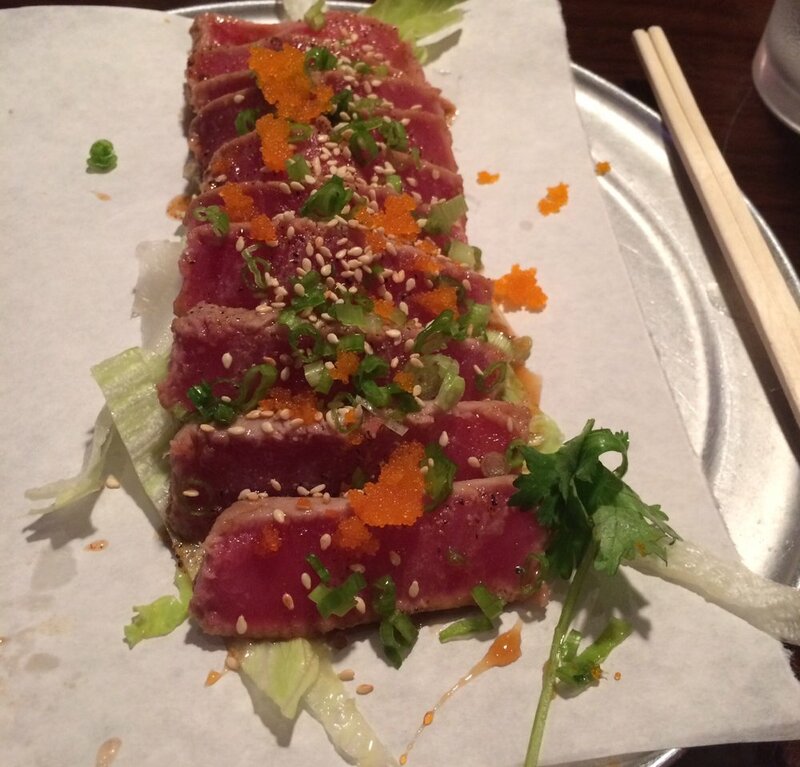 There are very few items as good as sushi grade tuna. Next up Spicy Tuna roll, a platter of mixed sushi and an order of fried rice. 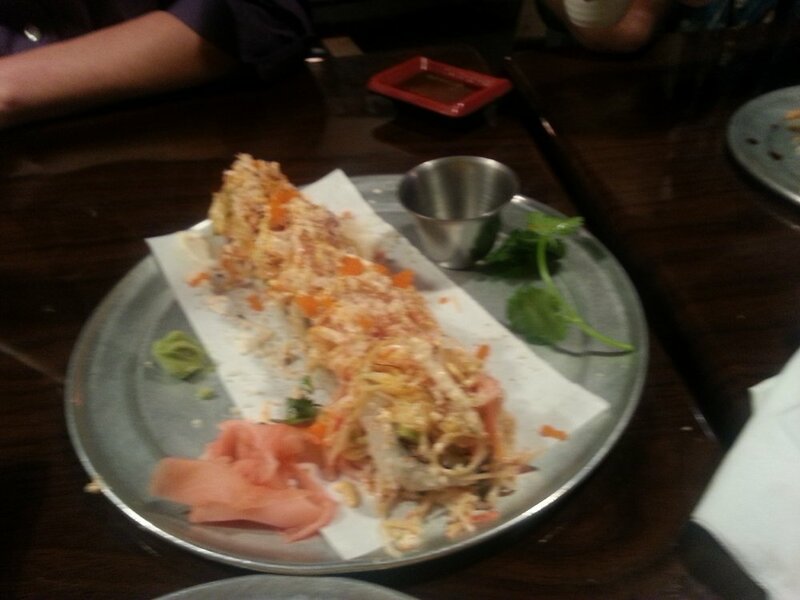 All the sushi pieces were remarkable, one could taste the freshness. Spicy tuna was just that, spicy, rice sweet and sticky not dry. 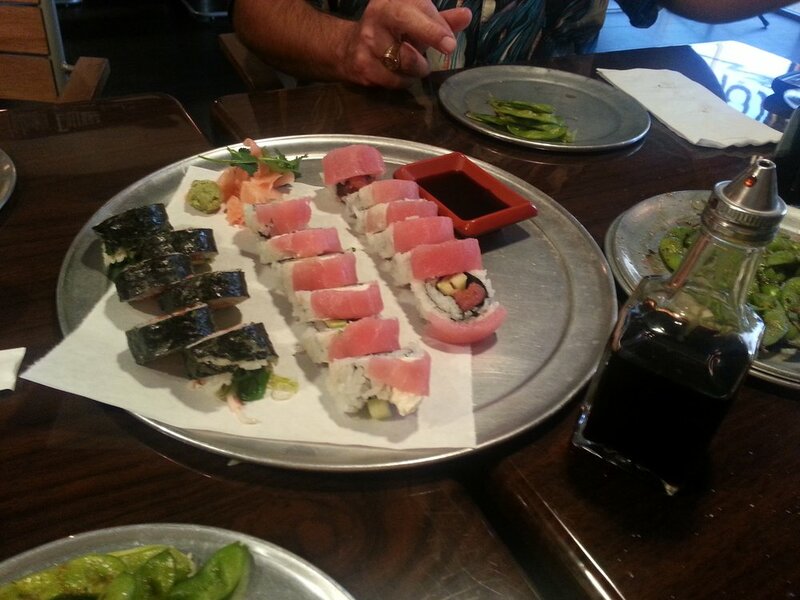 Mixed platter once again tuna our very favorite and a shrimp tempura roll. Both of these are common items on most sushi menu, sometime simple is just fits the bill. It did for us. 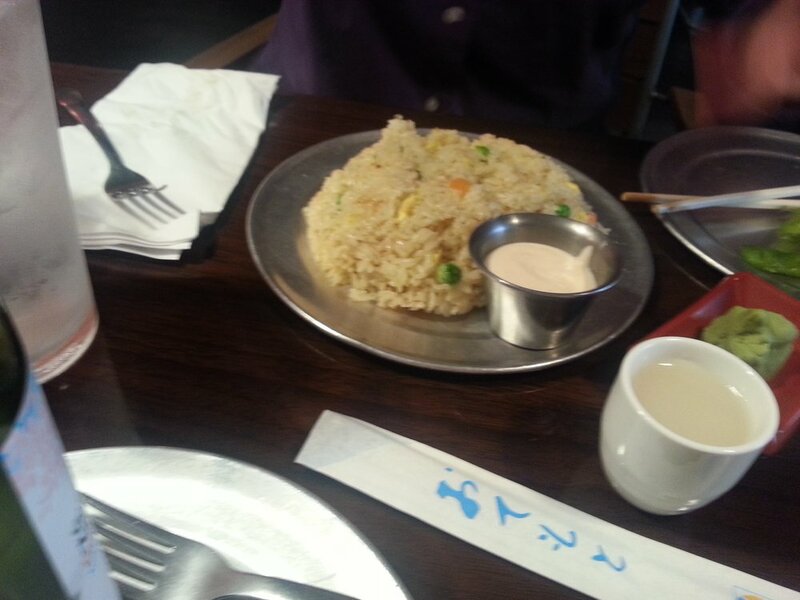 Fried rice, bland and uninspired. For me it needed some more, “stuff” like eggs, meat, water chestnuts and most of all flavor. I have to take off points on this dish. So overall, this was a successful revisit, and if I lived here I certainly would be one of the regulars. Once again I encourage the reader to give it your own taste test. You may agree you may not, but if you do bring your friends the next time.